Personal Injury ProtectionWhat Is A PIP Lawyer? August 4, 2014by Shamis & Gentile P.A. A Miami PIP lawyer is an advocate that represents medical providers and individuals who have been injured in car accidents regardless of who was at fault. To get a better understanding of what Miami PIP attorneys do, a short summary of PIP is needed. PIP stands for personal injury protection. Personal injury protection is a certain type of insurance that a Florida driver is required to purchase. In Florida, PIP is a no-fault law, and the minimum coverage is $10,000. For instance, if a driver is involved in a motor vehicle accident, that driver will be covered by their PIP insurance regardless of who may have caused the crash. PIP will also cover 60% of lost wages resulting from a disability that was initiated by an accident. PIP is also accountable for $5,000 in death benefits to cover things such as funeral costs, etc. Normally, a patient of a medical practitioner (chiropractor, MRI facility, dentist, orthopedic surgeon, etc.) will assign his/her rights to their medical provider in the form of an assignment of benefits. The assignment of benefits, or as PIP practitioners frequently refer to as an “AOB,” provides the required standing for the medical provider to initiate a lawsuit against the insurance company. What does a Miami PIP lawyer do? Largely, a Miami PIP lawyer represents medical providers who render treatment to patients involved in auto accidents. Insurance carriers tend to have the unfortunate habit of underpaying, omitting to pay or incorrectly paying medical professionals. Alike, insurance carriers will withhold payments to medical practitioners while conducting peer reviews, independent medical examinations and such. The goal of PIP attorneys is to guarantee swift payment of all medical bills that were submitted by the medical professionals in a timely fashion. The first step of a PIP lawyer’s meticulous process is to send out demand letters to the insurance carrier to request payment of unpaid, overdue, and/or underpaid medical treatment and services performed by the providers. We will initiate litigation if the insurance carrier fails to make the correct payment within 30 days of our demand letter. The initial step in the litigation process is to file a complaint in county or small claims court. The pre-litigation process is just as important as the litigation stage of the case. During litigation, we will attend hearings, depositions, independent medical examinations, examinations under oath, etc. on behalf of and sometimes with our medical professional clients. If both sides aren’t able to reach an agreement as to the amount of benefits owed to the medical professional, or are unable to enter into a settlement agreement, a jury trial will be set. A Miami PIP lawyer is someone who is an advocate of both medical providers and medical patients. Our goal is to certify that doctors, chiropractors, dentists, etc. are paid correctly for the important services that they provide for their patients. 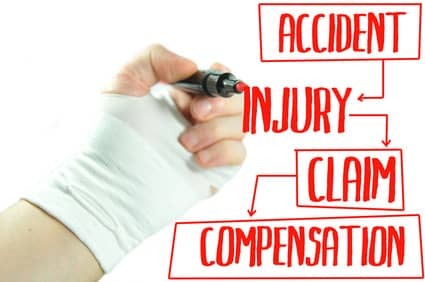 We guarantee that patients are treated after accidents, despite the potential for underpayment, non-payments or incorrect payments from the insurance carriers. It is critical that you contact a personal injury protection attorney to handle any possible PIP issue that may arise.